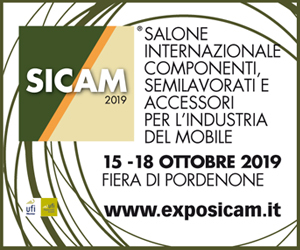 Arpa Industriale wanted to illustrate this year at Sicam the possible aesthetic and functional combinations of its two product lines: HPL (high pressure laminate) and FENIX ("smart" materials). In a refined interactive space designed by ArpaLab, the company from Bra has presented on the one hand the new Kér finish that expands the textures of the HPL offer and the new patterns for the Losa finish, on the other the new Fenix ​​colour collection NTA and the new Fenix ​​Integrated Solutions - Sink concept. 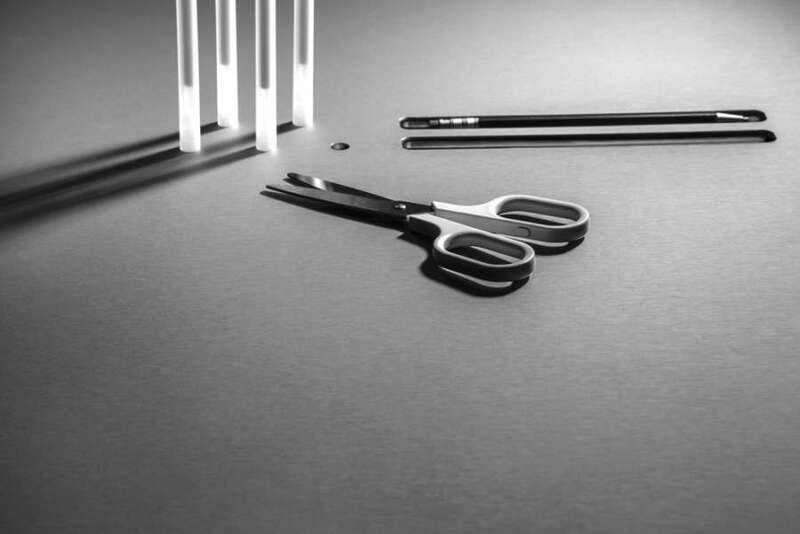 All these innovations testify to the company's goal to offer cutting-edge aesthetic and technical solutions aiming at a constant investment in research and development, which represents 4% of turnover. 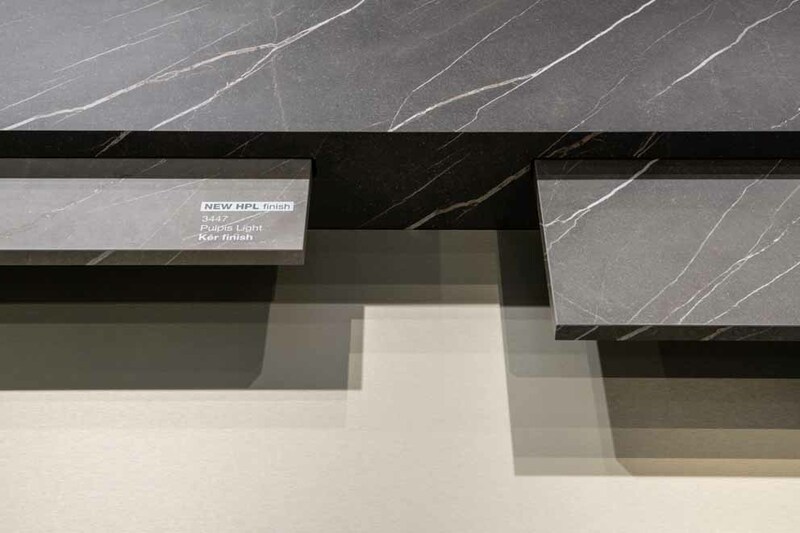 The textures of the HPL offer are enriched by Kér, a new finish presented in the world premiere at Sicam 2018. Designed by ArpaLab, the creative laboratory of Arpa Industriale, the Kèr finish is an opaque texture extremely pleasant to the touch. 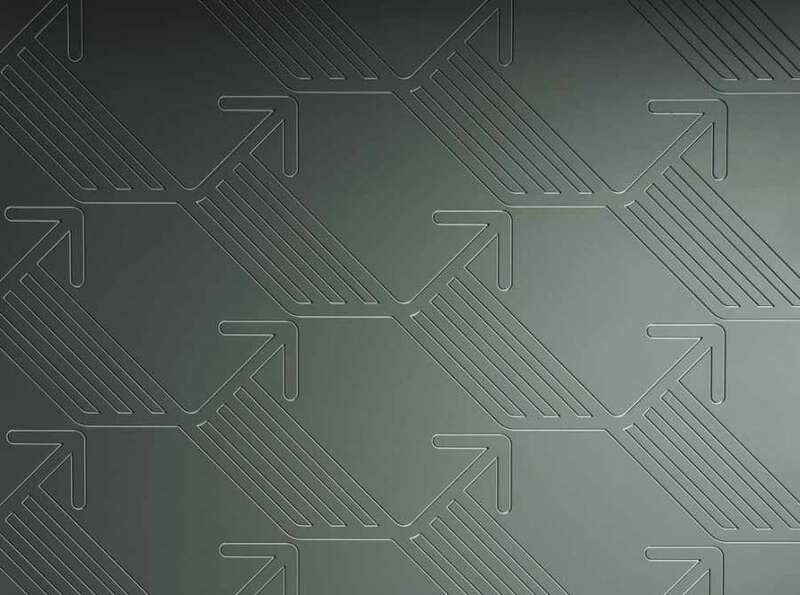 Kér, declined in twelve exclusive decorative patterns with refined design, inspired by elegant material abstractions, is suitable for both horizontal and vertical applications and is available in thin and compact HPL. New aesthetic scenarios also for the "Losa" finish thanks to three new decorations; Losa is characterized by its structure that reproduces the cut of the stone inclined at 60 degrees and the strong three-dimensional effect, obtained thanks to the twelve levels of engraving of the sheet used for its production. Finally, the Solid HPL proposal by Arpa Industriale extends in an original way thanks to the creative chromatic composition of sixteen decorations with three-dimensional textures and colours of the combined thickness. The available thicknesses include a wide range from 1 and 1.2 mm to 4, 6, 8, 10 and 12 mm. 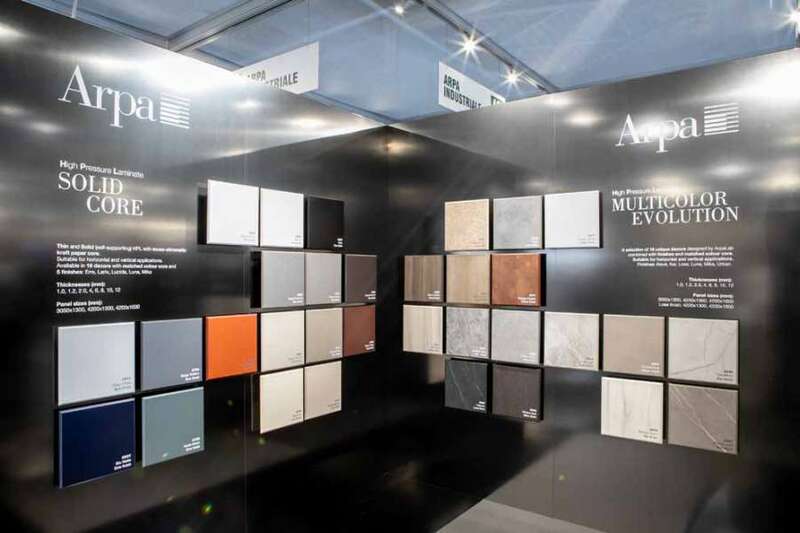 Arpa Industriale exhibited at Sicam the entire chromatic collection of FENIX NTA® metal surfaces (NanoTech Alloy), a real metal surface structure that maintains Fenix's main characteristics: scratch resistance, anti-fingerprint, soft touch, super opacity and visual comfort, reparability of superficial micro scratches. The collection is enriched with the new colours Cortez Gold, Dukat Silver and Hamilton Steel. Fenix ​​NTA is a material suitable for both horizontal and vertical applications, it is easy to work with common cutting, milling, sanding and drilling tools and can be customized with laser engraving techniques and pantograph machining. 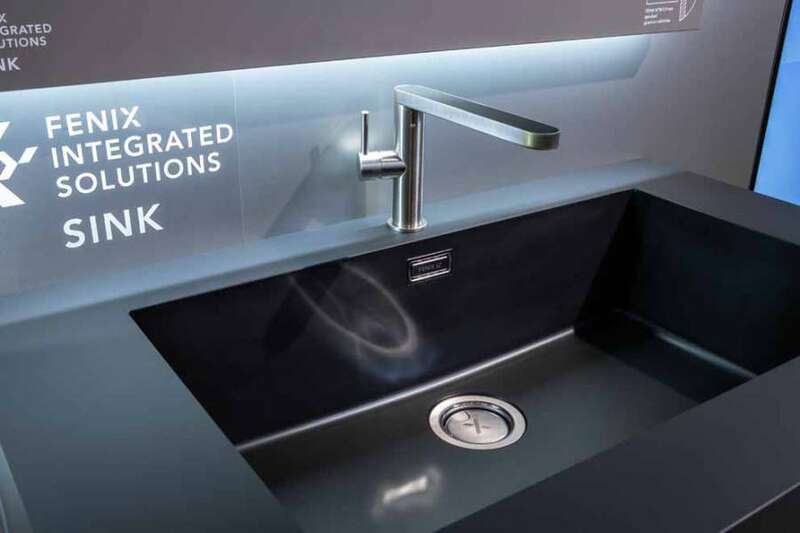 The most interesting novelty linked to the Fenix ​​system, which aims to complete the interior design offer, is undoubtedly the "Fenix ​​Integrated Solutions - Sink". This is a range of kitchen sinks designed to be integrated with worktop always made in Fenix. Products in acrylic resin with an extremely opaque and resistant finish, allowing a perfect integration between worktop and sink in Fenix ​​kitchen projects. For the moment, two models and fourteen colours from the Fenix ​​NTM collection are available in the catalogue. Request information to Arpa Industriale S.p.A.